You can discover more about the adorable Jack & Lily: Leopard Laced Boots in Miss Frugal Mommy’s review! Now for the exciting part! 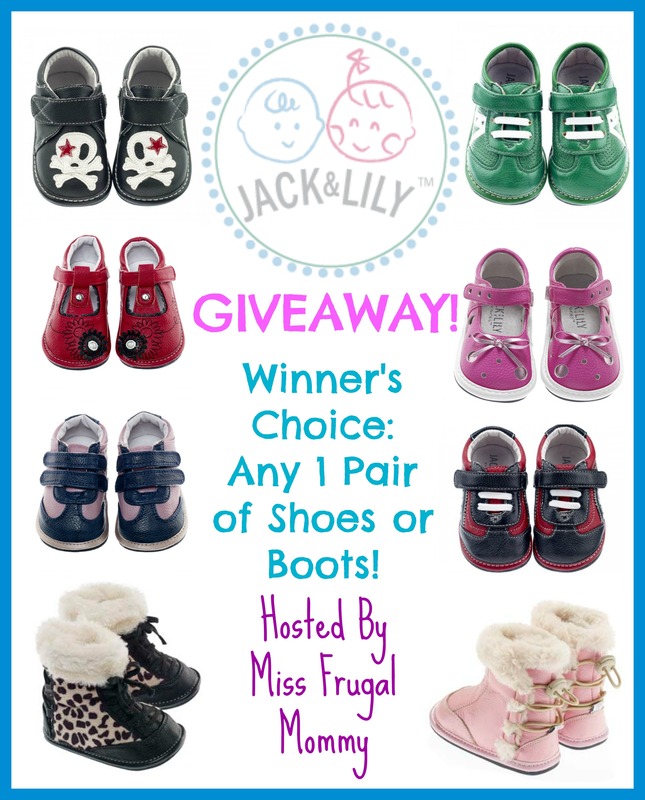 One lucky fan is going to win their choice of any 1 pair of Jack & Lily shoes or boots that are currently in stock. This giveaway is open to US & Canadian residents 18 and older. Enter to win in the rafflecopter below, all entries will be verified, one entrant per household or you will immediately be disqualified. Winner will be contacted via email and has 48 hours to respond before a new winner is chosen. Good Luck!!! Pretty in Pink Spring #Giveaway Event sponsored by Babalu Baby (ARV $75) ends 4/20-US only. These shoes are too cute. The grey and black trainers for Des! They are so cute!!!! Tamara recently posted…For The Love Of Cookies: A Semi-Obsessive Love Story. Absolutely, Des has style! Good luck!